Lumbini Park in Hyderabad is located in the heart of the city opposite to the New Gate of Secretariat Building. It is one of the top attractions of Hyderabad. March is the best time to visit the park as the weather at this time remains cool in the mornings and evenings / night and slightly hotter during the day. 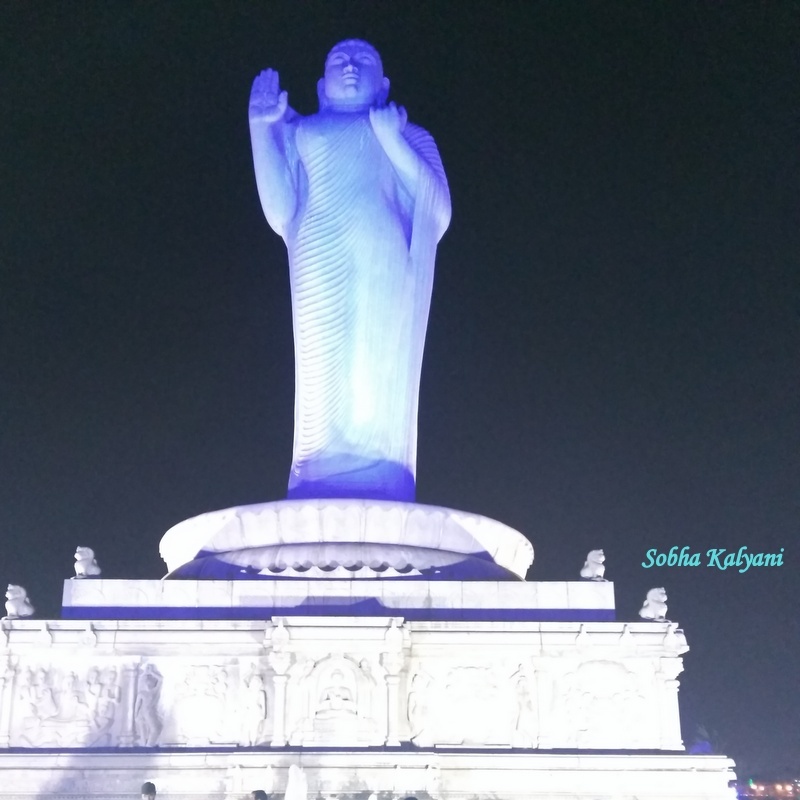 The park is located on the shores on Hussain Sagar and is easily reachable. It is heavily crowded on weekends and tourists have a joyous boat ride in the cool breeze on Hussain Sagar. The boat takes the tourists to the huge Buddha Statue amidst the lake which looks colorfully beautiful when illuminated statue at night. 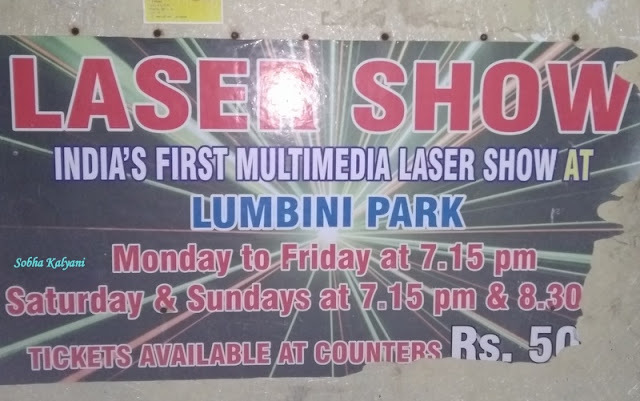 A majority of tourists visit Laser Show at Lumbini Park after the boat ride. Laser show at Lumbini Park is the 1st spectacular water multimedia show in India. The show is one of the main attractions of the city which attracts huge crowd. 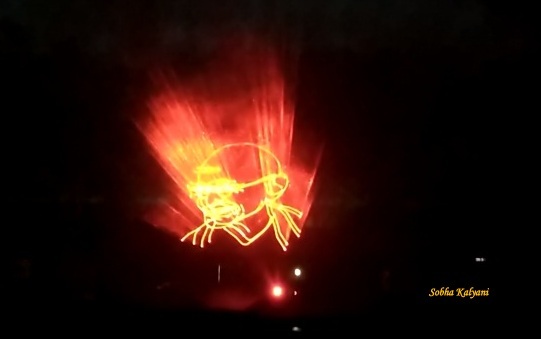 The uniqueness of the show is that the laser animation and live video are screened on the spray of water fountains in 3D. 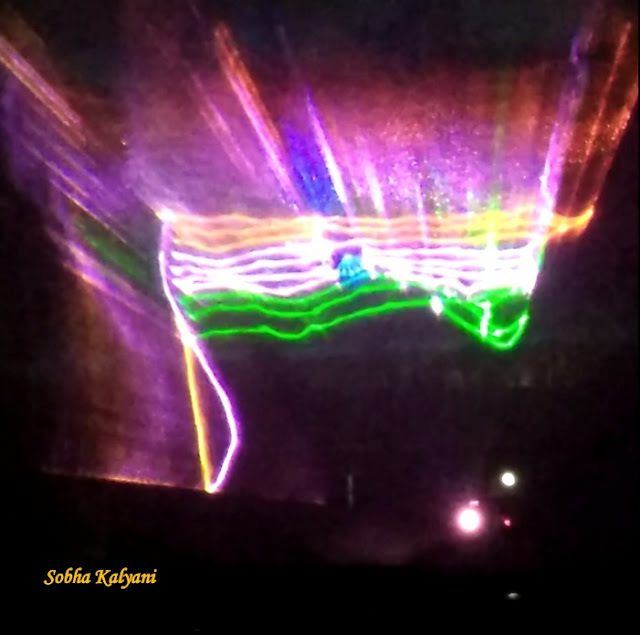 The laser effects dance to the rhythmic tunes / beats of the popular songs and music. The history and rich cultural heritage of Hyderabad is displayed with a background narration. 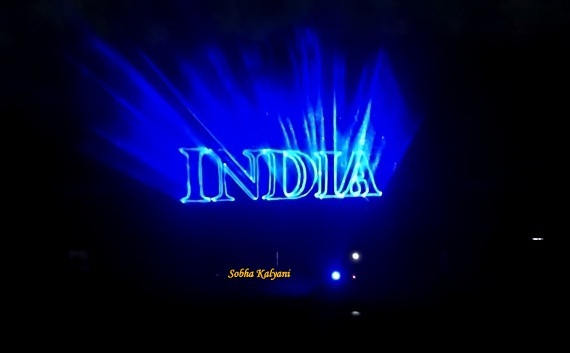 And the greatness of India and other such scenes are displayed on the screen created by the water fountains that dance to the rhythmic tunes of popular Hindi and Telugu songs. All these give an astounding 3D effect. This is one of the largest water screens in India. There is only one show at 7.15 p.m on the week days from Monday through Friday and two shows on weekends. First show at 7.15 p.m and second show at 8.30 p.m. Tickets can be purchased at the counter easily as there will be no long lines. It is Rs.50/- per head and free for children up to 5 years of age. It's an open air auditorium with no reservation of seats. Spectators can sit at any place from where they can have a better view of the show. 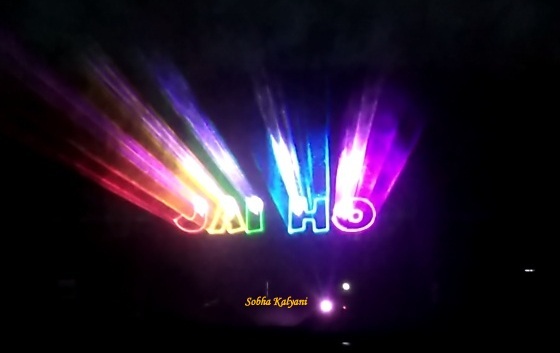 The show begins with the famous A.R.Rahman's 'Jai Ho' song. (subject to change) with a big applause, shouts and screams from the spectators. The 3D effect of the laser lights on the water screen is amazing and spell bounding. During the entire show, there will be continuous screams and shouts of joy and excitement from the spectators. 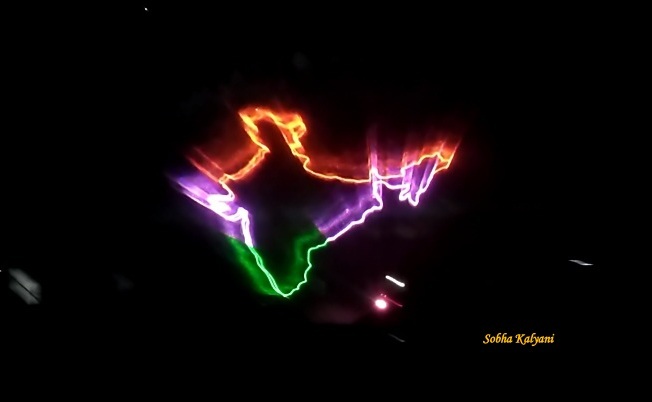 There will be high spirits of patriotism in the air when the National Tricolor Flag is screened. The show ends with a soothing classical music in Hamsadhvani ragam (subject to change). Undoubtedly the entire show is a real treat to the eyes and is worth watching. 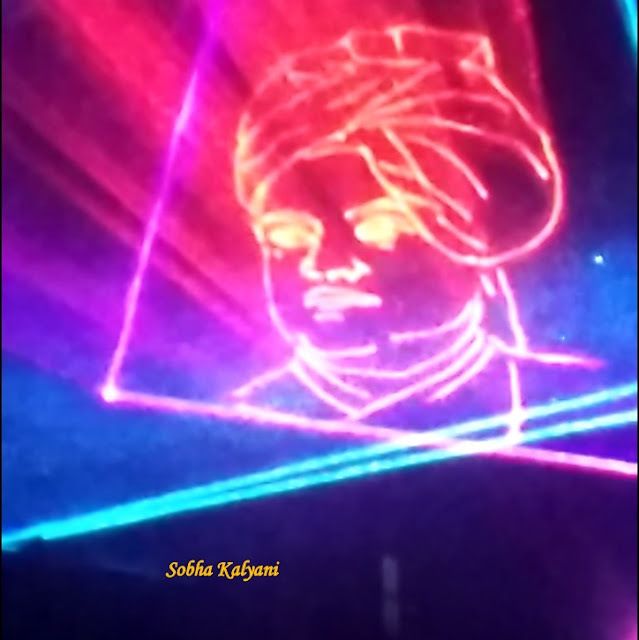 Laser Show at Lumbini Park in Hyderabad is a must-watch event which should not be missed by the tourists.